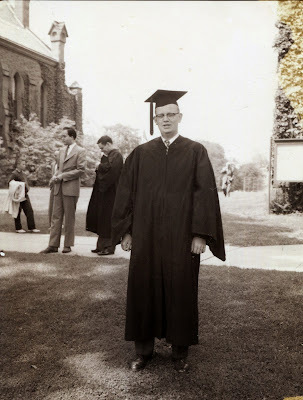 One of the few things on my to-do list that I was able to complete during my staycation (thank you, sciatica) was organizing all of my loose photos. 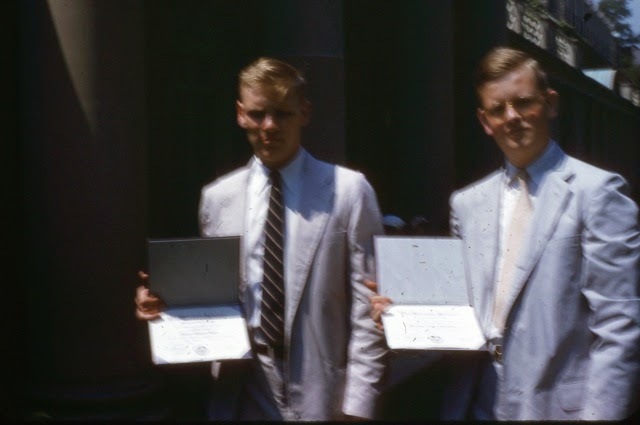 I also scanned two more carousels of my father's slides which included his graduation from a post-doctoral degree program in Clinical Psychology at Adelphi University in 1981. 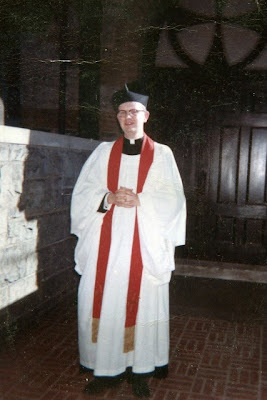 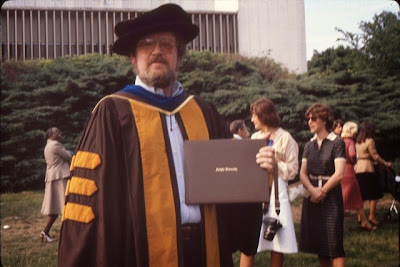 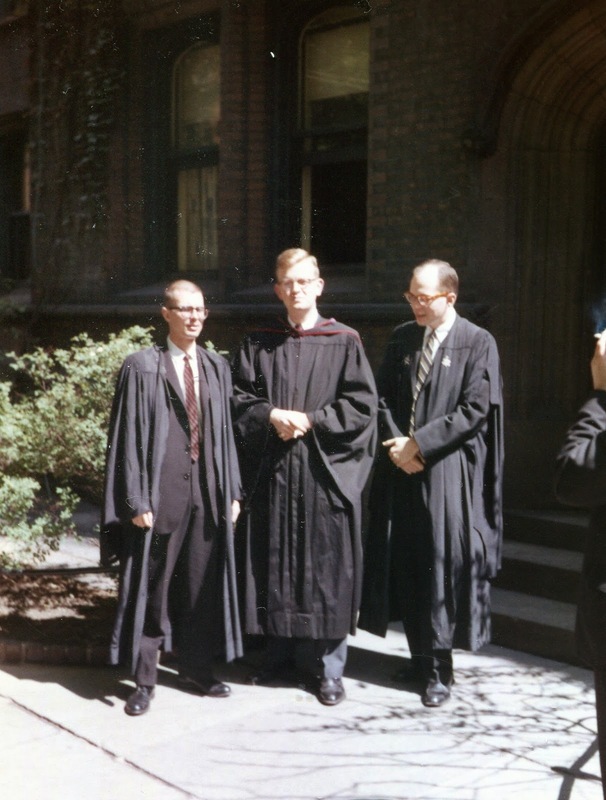 It is that graduation time of year, so I thought that I would share images from Dad's graduations from boarding school in 1954 to that post-doc program in 1981.